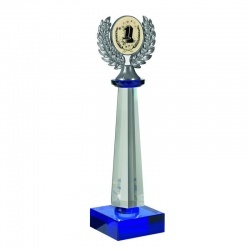 A collection of superb crystal glass awards and plaques crafted in flawless optical crystal, all suitable to be engraved with your event or achievement details and all offered with low, fixed-cost text engraving and free logo engraving. 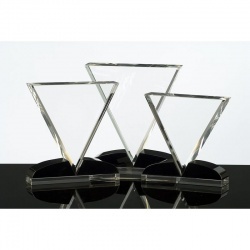 Premium quality clear glass award in geometric design, supplied boxed. 3 sizes. Geometric design with clean lines. Supplied boxed. 13.5in tall. 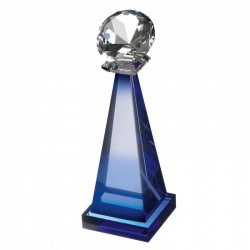 Clear optical crystal award with six peaks on base. 2 sizes. 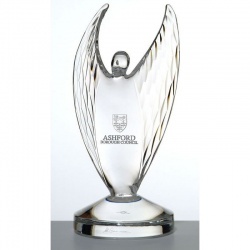 9.5in Optical Crystal Winged Victor Award from Designer Mario Cioni. Clear glass five sided column on bevelled base. 13.75in tall. Diagonal plane for engraving. Presentation boxed. 7in tall. 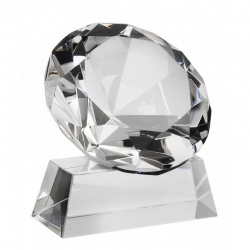 Optical crystal multifaceted diamond on base. 2 sizes. 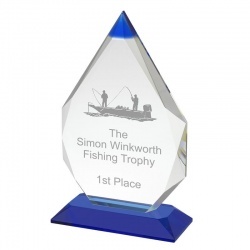 Clear and blue glass plaque on clear glass base. 2 sizes. 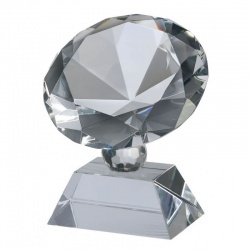 Flat-top optical crystal 'diamond' set on bevelled base. 3.5in tall. 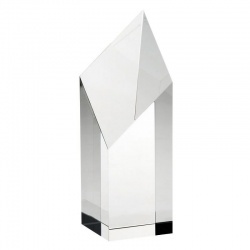 Crystal Award in Sleek Geometric Design with Black Base. 10.5in tall. Geometric design with clean lines. Supplied boxed. 11in tall. 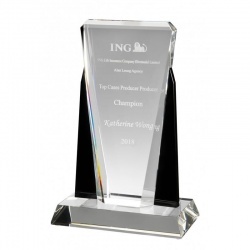 Classic trophy shape with lid. Supplied boxed. 11in tall. 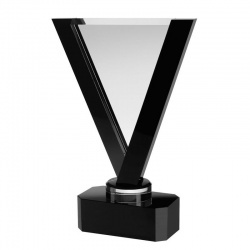 V-shape award in clear and black glass. 13.25in tall. 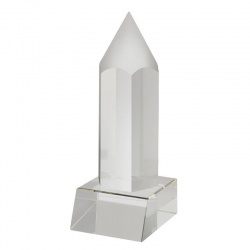 Crystal Column in Diamond Design with Diagonal Cut. 4in tall. 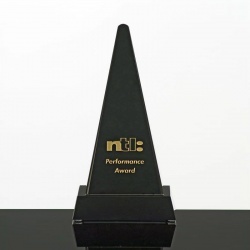 Crystal Award in Triangle Design on Black Curved Base. 5.5in tall. 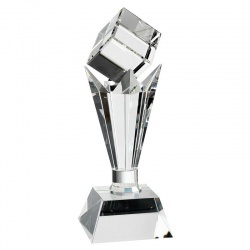 Trophy cup crafted in optical crystal on base with plaque. 2 sizes. 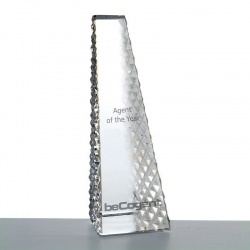 Crystal Award in Triangle Design on Black Curved Base. 6.25in tall. Cylinder with diagonal engraving plane. Supplied boxed. 6.5in tall. 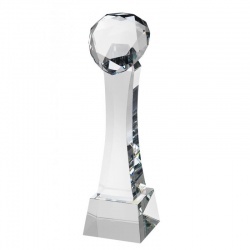 Crystal Award with Cube & Tapered Column on Base. 6.5in tall. 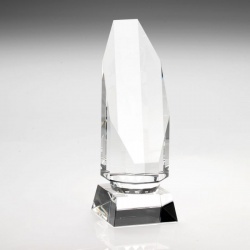 Crystal Column in Diamond Design with Diagonal Cut. 6in tall. 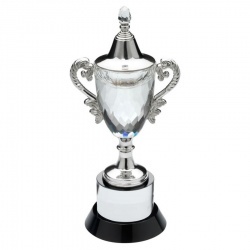 Classic trophy shape with lid. Supplied boxed. 13in tall. 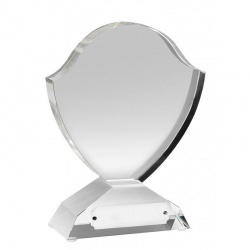 Optical crystal round salver on glass base & stand. 6in dia. 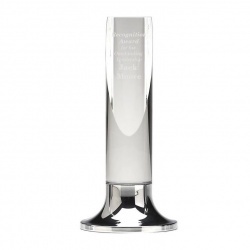 Crystal Award with Cube & Tapered Column on Base. 7.25in tall. 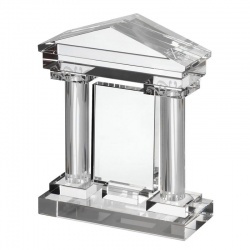 Crystal Column in Diamond Design with Diagonal Cut. 7.25in tall. Clear body on blue base, in presentation box. 3 sizes. 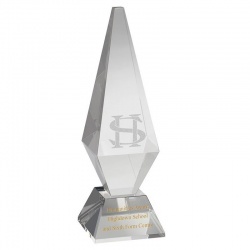 Crystal Award with Cube & Tapered Column on Base. 7.75in tall. 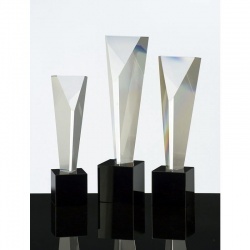 Crystal Award in Sleek Geometric Design with Black Base. 7.75in tall. Clear glass five sided column on bevelled base. 16.75in tall. 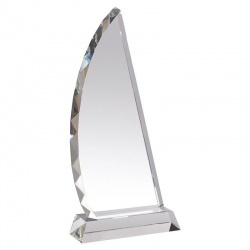 Crystal Award in Triangle Design on Black Curved Base. 7in tall. 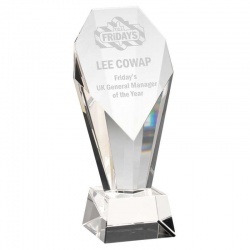 V-shape award in clear and black glass. 15.25in tall. 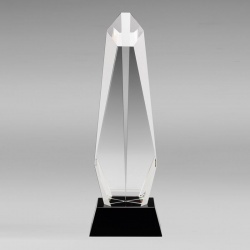 Crystal Award in Sleek Geometric Design with Black Base. 9.25in tall. 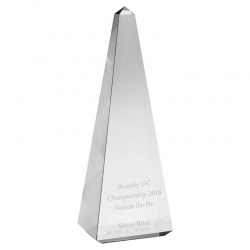 Classic trophy shape with lid. Supplied boxed. 9.5in tall. Geometric design with clean lines. Supplied boxed. 12.25in tall. 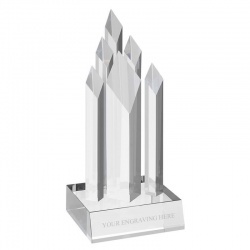 Freestanding clear crystal award with multi faceted design. 8in tall. 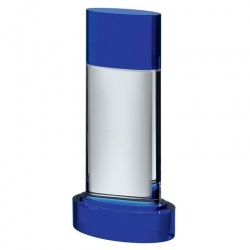 Blue glass column with multi faceted clear diamond. 2 sizes. 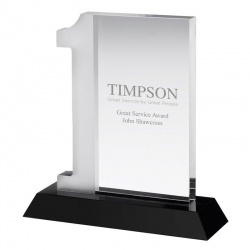 Rectangular plaque with number one motif, on base. 6.75in tall. 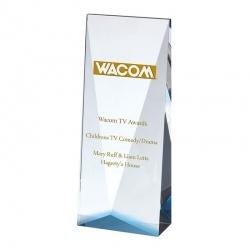 Flat plaque on base, in clear & black optical crystal. 10.5in tall. 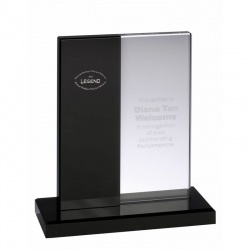 Rectangular plaque in clear & black glass, on base. 9.5in tall. 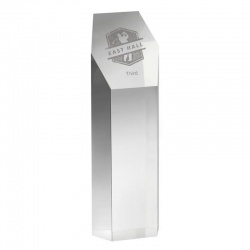 Tall crystal award on blue base. Topped with 2in centre. 2 sizes. 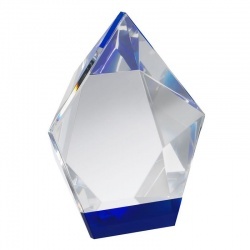 Multifaceted diamond shape crystal award with blue base. 3 sizes. 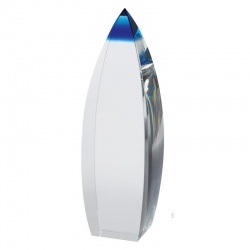 Freestanding clear and blue optical crystal curved column. 3 sizes. 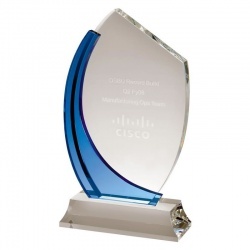 Blue & Clear Optical Crystal Awards on Bases. 2 Sizes. 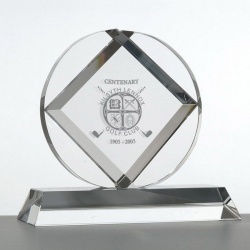 Clear glass wedge inset into blue glass plaque. 7.75in tall. 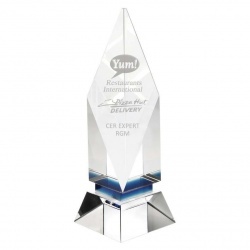 Clear crystal pyramid award with small square plaque. 6in tall. 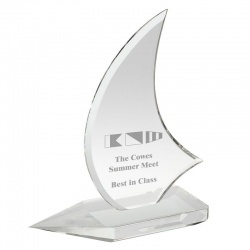 Sail design plaque on flat pointed base. Supplied boxed. 10.75in tall. 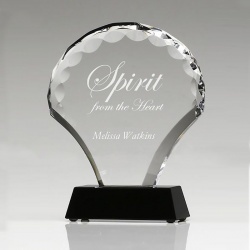 Superb crystal corporate award in clear optical crystal. 3 sizes. 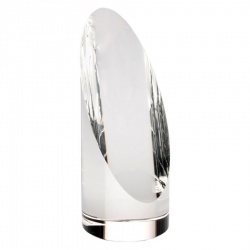 Obelisk shaped clear optical crystal award on base. 2 sizes. 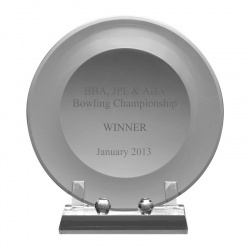 Clear glass shield design award on base with plaque. 6.75in tall. 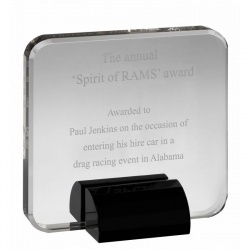 Rectangular clear glass plaque on black glass base. 5.5in tall. 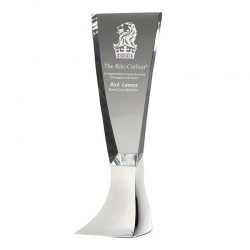 Multifaceted diamond set on curved column on base. 11.5in tall. 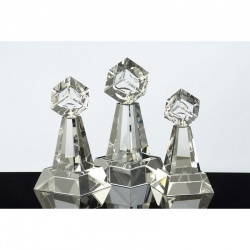 5.5in Crystal Award with Bevelled Diamond Plane Set in Circle. Portico design frame and base with clear glass plaque. 6.75in. 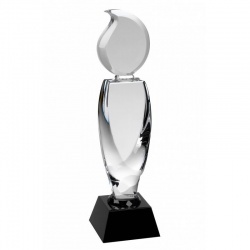 7.5in Optical Crystal Award in Fan Shape with Chipped Edges. 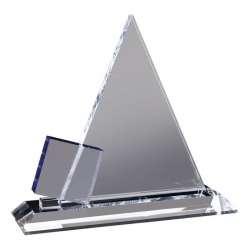 Clear optical crystal award in sail design, on base. 12.75in tall. 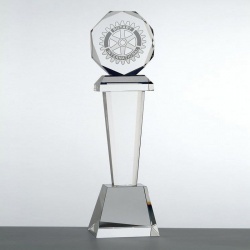 11in Crystal Award with Octagonal Sphere on Tapered Column. 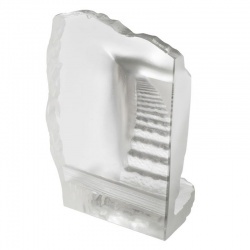 Clear optical crystal block with staircase. Presentation boxed. 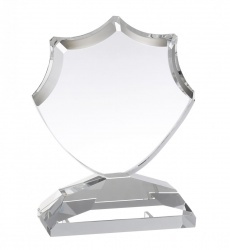 Shield award in clear optical crystal with base plaque. 6in tall. 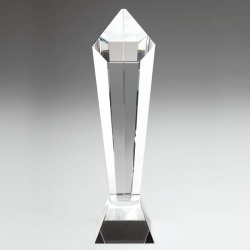 Optical crystal hexagonal column with sloping peak. 3 sizes. Clear glass flame on tapered column, on black glass base. 12in tall. 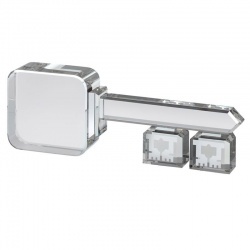 Clear optical crystal key, in lined presentation case. 9.75in long. Clear optical crystal pencil on base. 9in tall. Supplied boxed. 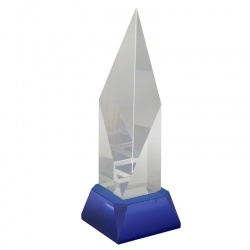 Freestanding obelisk shape clear optical crystal award. 10in tall. 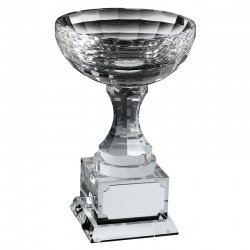 9.25in Triumph Pillar in Optical Crystal wtih Chrome Plated Finish. 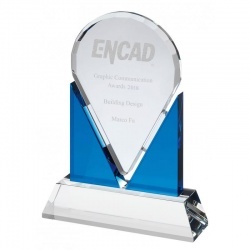 Geometric award with peak, in clear glass with blue insert. Boxed. 3 sizes.